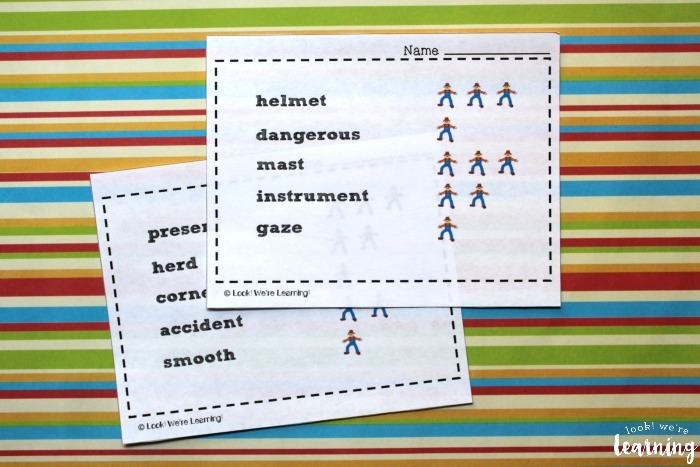 Scarecrow Syllables for Second Grade Activity - Look! We're Learning! 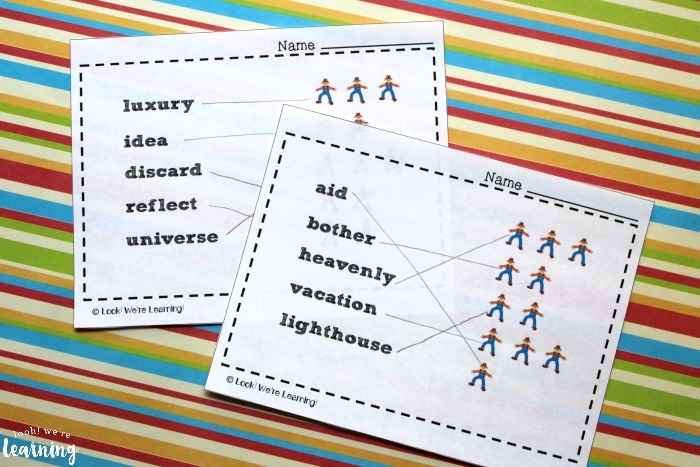 It’s time for another entry in our second-grade activity series! 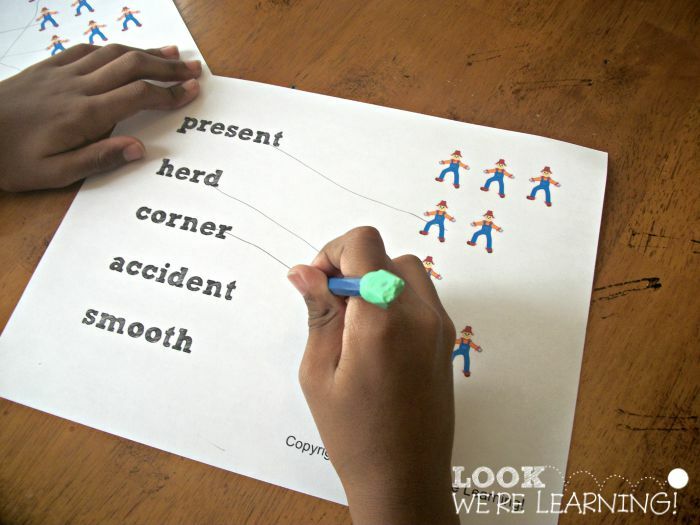 This week, we’re talking about how to help second graders count and identify syllables in common words. 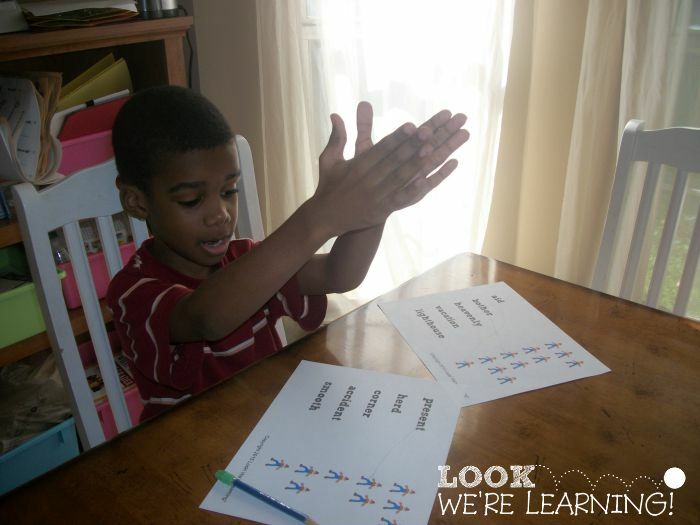 With Pooh, we use the typical “clap it out” method to count syllables. So we’ll have him say a word and then for each sound he hears, he claps his hands. For example, when he says the word “amazing”, he’ll end up clapping three times: A-MAZ-ING. 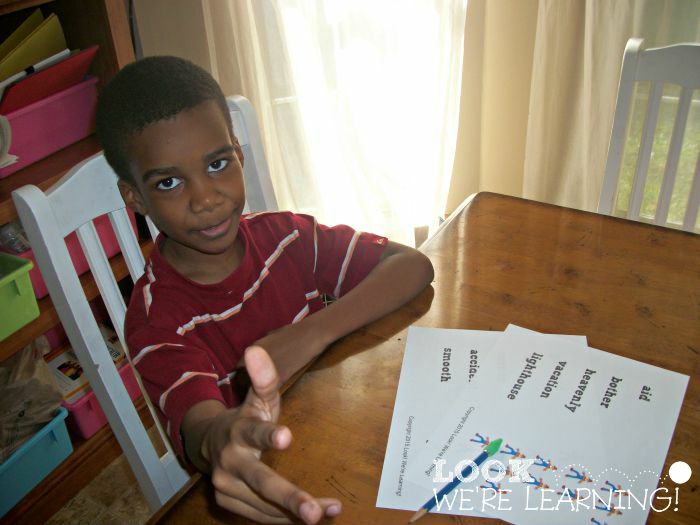 That helps him see that there are three syllables in the word. To reinforce syllable identification skills, I made a fall-themed syllable counting lesson to teach syllables for second graders. 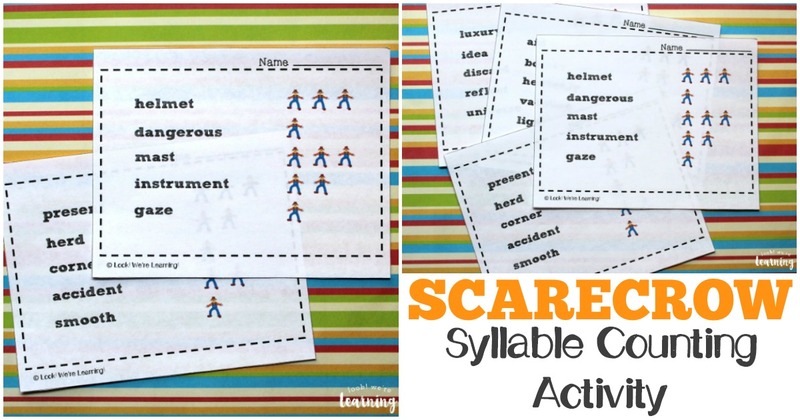 Read on to get your copy of our Scarecrow Syllables for Second Graders activity! 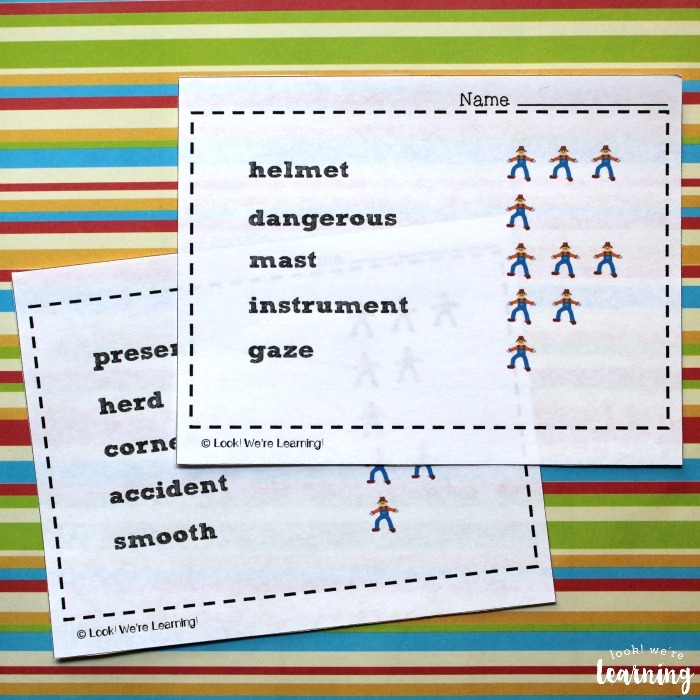 And for more early elementary learning printables, take a look at our Second Grade Learning Bundle! 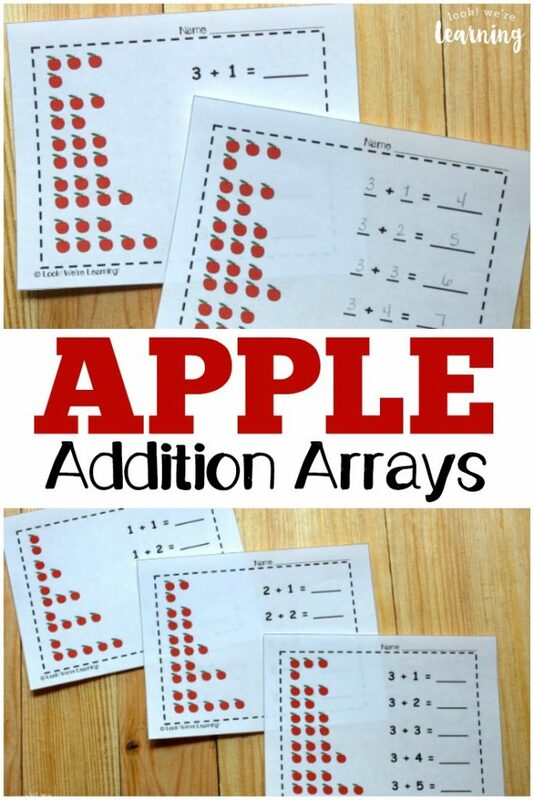 It’s packed with ELA and math resources for grades 1-3! 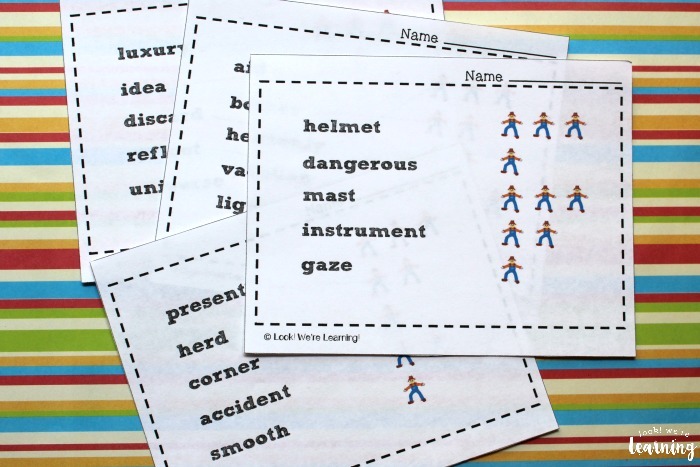 This printable language arts pack includes 20 second-grade vocabulary words, a full answer key, and a set of instructions. 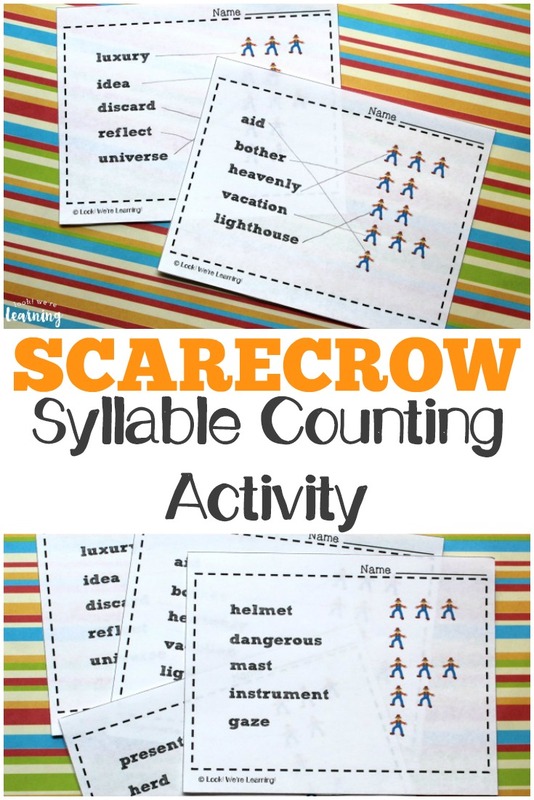 Kids can sound out the words, count the syllables, and then draw lines to match the words with the correct number of scarecrows to show the right number of syllables. He was really serious about that explanation. After we talked about what syllables really were, we tried matching up the words with the right number of scarecrows. The “clap it out” method worked beautifully! 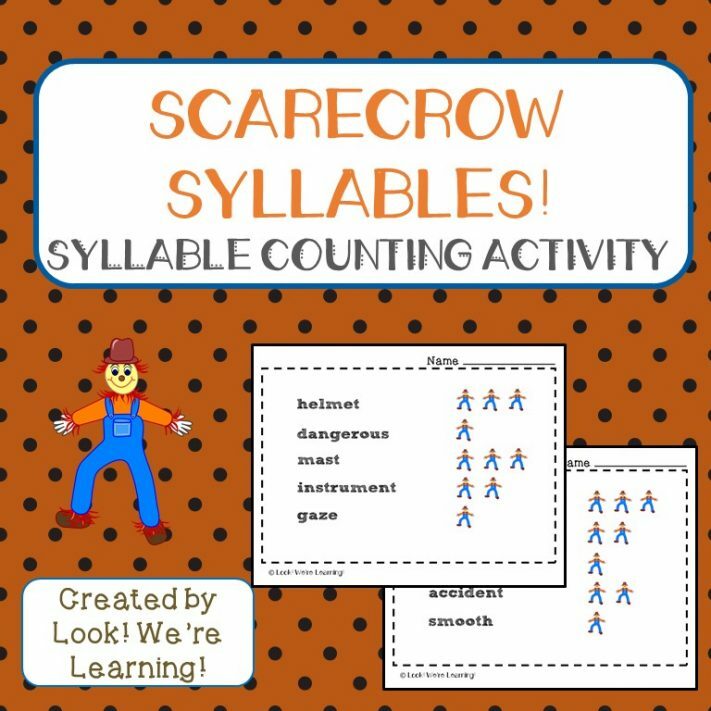 Scroll down to get your copy of our printable Scarecrow Syllables for Second Graders Activity! 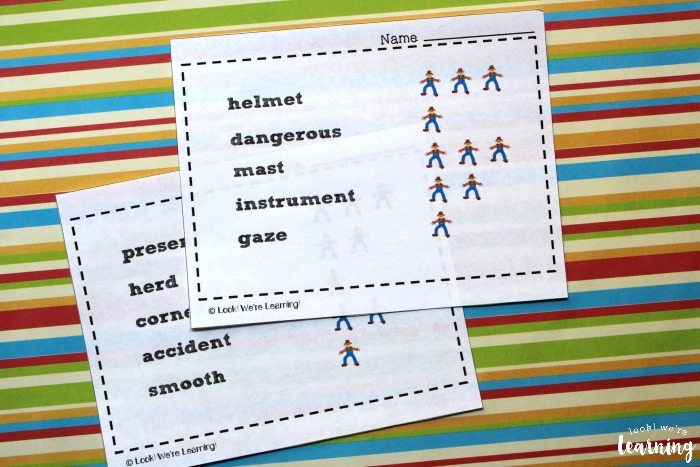 Looking for more early elementary learning printables? Don’t miss these! 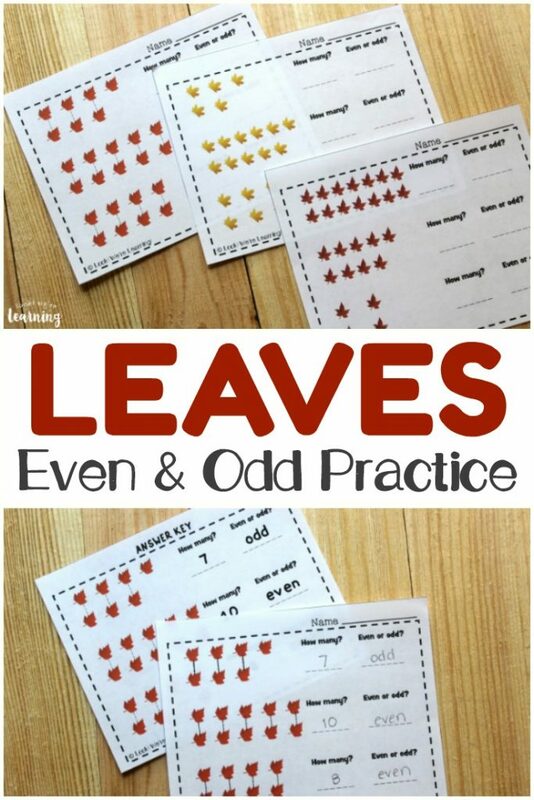 And see more ways to make fall learning fun on my Fall Activities for Kids Pinterest board! 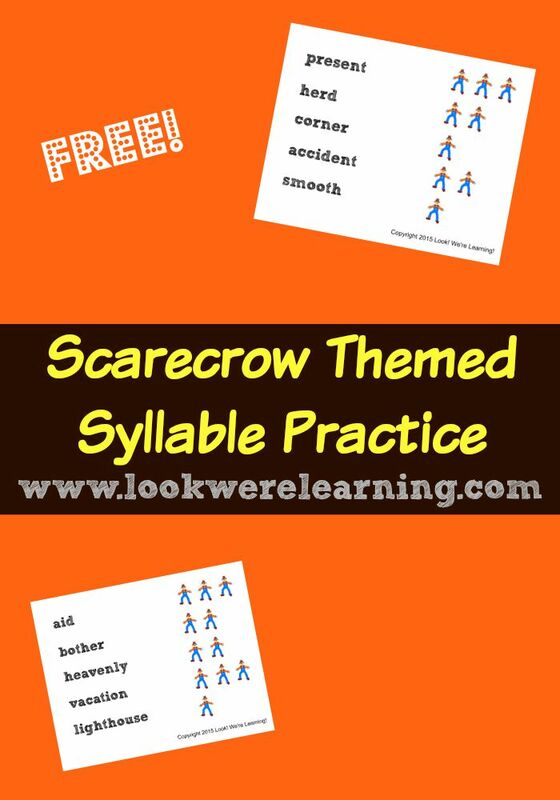 To get your copy of our Scarecrow Syllable Practice Pack, sign up for our email newsletter using the widget below! 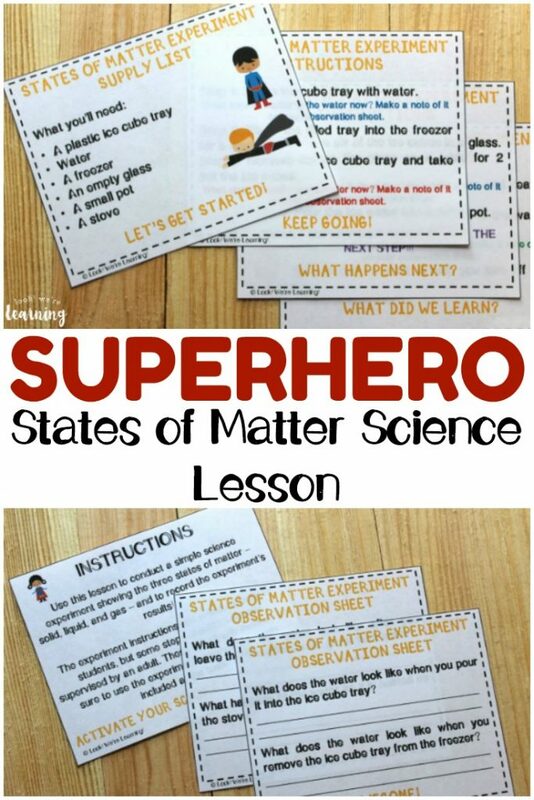 You’ll get access to this printable, plus a bunch of other exclusive freebies for our subscribers! Check out the other scarecrow-themed posts from the 2nd Grade Blogging Team!